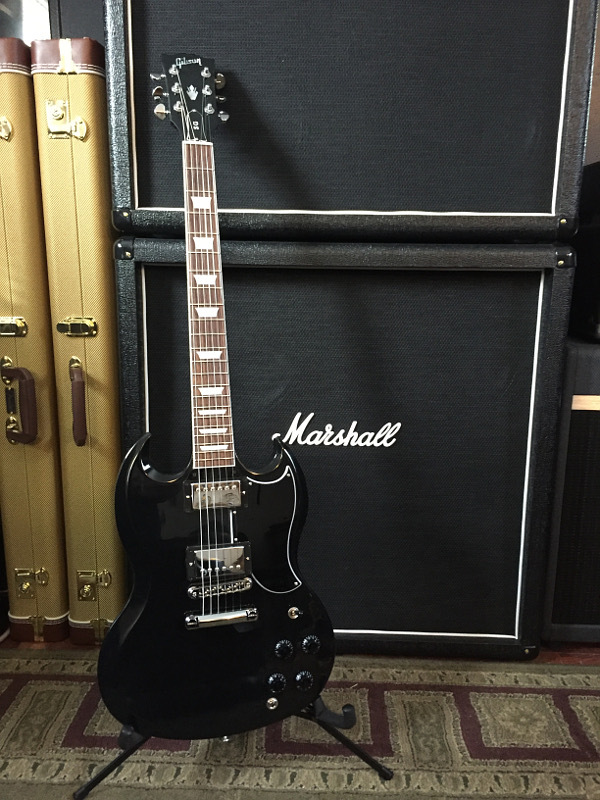 Discussion in 'Gibson SG' started by rich85, Nov 4, 2018. SG standard, xland, 58pit and 10 others like this. Well done man! No point hurting yourself. Plus! I bet you have a lot of cash left over selling those Les Paul's, even after buying the SG's! Indeed, well I got these 2 then will get the 2019 Standard with the Batwing guard and Alnico II pickups once they get to Aus. That puts me about even. The 61 pickups are a nice change, really love having some Alnico 5 PAF style humbuckers. Dave and Daniel.S like this. Welcome to the forum mate. Well done giving up those LPs. Alnico 5 PAFs in an SG are awesome! PaulSGstandard and rich85 like this. Congrats! Take a look maybe at the 2018 SG HP models they are pretty stellar ( I might be slightly biased )! Dale and rich85 like this. Welcome, we take all kinds here! as well as players like me who never fell for the heavy instrument. SG and one thing we might all agree on is the excellence of this design. rich85 and plankton like this. Hi Rich, welcome to the darkside. We're more laid back and less ocd than the other place, so let 'em sag and enjoy. Welcome pal! NICE arsenal right there! We're more laid back and less ocd than the other place, so let 'em sag and enjoy. Not a lot of sag going on here we gots swagger though! jojo68, Dale and rich85 like this. Owning Les Pauls and reading too much i did learn what an absolute load of crap the vintage accurate obsession is. Daniel.S, cerebral gasket and Biddlin like this. IDK if anyone ever noticed, but LP's just seem to look kinda dorky. Kind of a heavy version of an acoustic guitar want to be. I don't know. Talking horns and neck joins goes there pretty quick. cerebral gasket, rich85 and 58pit like this. Welcome, I like your ebony SG, killer! rich85 and Dale like this. I ditched the locking grovers and got normal rotomatics. Literally every single plain string would slip no matter how tight the thumbwheels were. Had and restrung all different brands and types of locking tuners, these were just rubbish.